Robin was born and raised in Buffalo Grove, Illinois, a northwest suburb of Chicago. 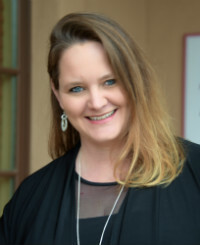 After moving with her family to Northeast Mesa in 1994, Robin moved to Gold Canyon in 2010 and fell in love with the area, especially the friendly people, the fabulous mountain views and the small town vibe! 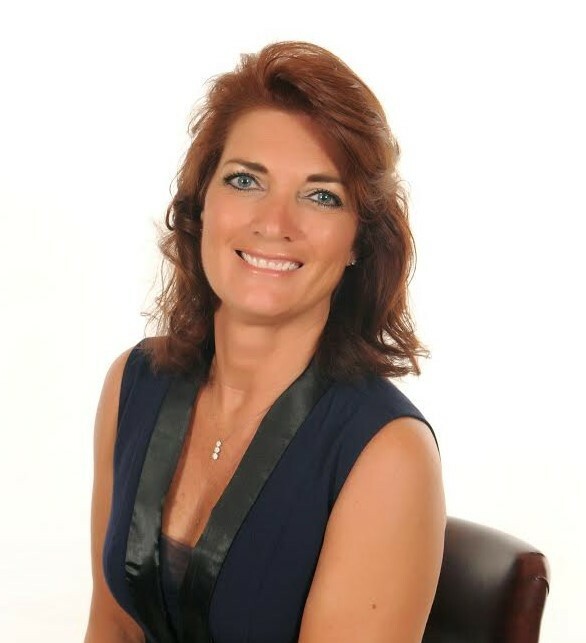 With 20+ years experience in residential real estate as a top agent and helping more than 1000 satisfied clients buy, sell or invest, she is well known and respected in the industry. Her high standards, strong work ethic, passion and dedication are a rare find! 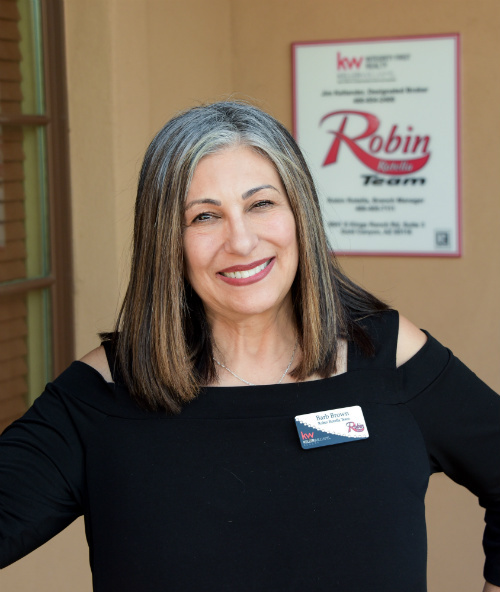 In 2013, Robin opened the Gold Canyon Branch Office of Keller Williams Integrity First Realty and expanded to form The Robin Rotella Team in November, 2014. Annual sales grew from $5 million in 2013 to over $30 million in 2017. No other agent or team is selling more homes in Gold Canyon than The Robin Rotella Team! They help over 120 clients close on homes each year and specialize in Gold Canyon, Apache Junction and the East Valley. The teams recognizable "Robin" logo is easy to spot on their vehicles, billboard and signs, including directional signs to 4-8 local open houses every weekend! Robin enjoys hiking, swimming, boating and is passionate about home decorating and staging. She and her team know the market extremely well and know how to strategize and position homes to sell that their clients appreciate! Kerri was born and raised in Kentucky and moved to Arizona with her husband Bill nearly 20 years ago. Her background and experience is impressive and includes 25 years of valuable customer service experience! and everything in-between! Kerri and her family currently live in the Gold Canyon custom home area north of Kings Ranch Estates on Cloudview. Helping our clients feel comfortable and relaxed as she listens to what really matters to them is just one of Kerri's strengths. She knows that buying a home is typically one of the largest investments a person will ever make and works hard to ensure our high team service standards are met to provide an enjoyable, hassle-free customer experience! Kerri enjoys life and all that Gold Canyon has to offer and wants the same for all of our clients! She loves Arizona as much for its beautiful scenery, as its rich history and is a member of the Boyce Thompson Arboretum where she tries her hand at amateur photography. Kerri's other hobbies include gardening, horses, hiking, and anything else outdoors! Paul was born in the "Heart of Chicago" and raised between Chicago and Hayward, WI area where as a young man he learned to fish, hunt & survive in the great Northwoods! Paul, his lovely wife Sherry and their 3 adopted "four-legged children" have been permanent residents of AZ since 2011. Currently, they live in the Petroglyph section of Superstition Mountain Country Club and enjoy every aspect of Arizona and Gold Canyon living! Paul's professional career has been 35+ years of Sales and Sales Management including Sales and Management for Sears Roebuck, Sales Manager for two metals CNC job shops in the west coast for over 24 years and the Western State Sales Manager for three different bronze metal foundries. 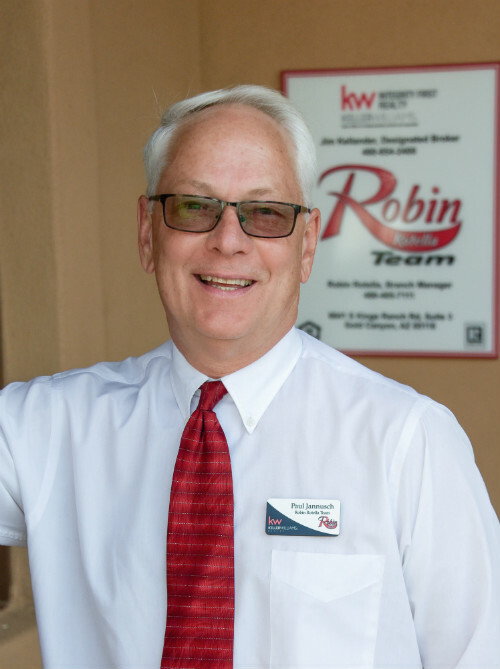 Along with a busy schedule in sales, Paul has made a hobby of real estate "flipping". Since 1978 he has flipped over 19 properties. Those ventures have included re-habing old Victorian farm homes, vintage log cabins, building 5 new homes and developing land in Greer, AZ. And, not done yet! Kellie ensures that our seller clients have a great experience! She oversees the team's extensive marketing plan for listings, manages all listing documents, marketing materials and client communication with the highest level of care and integrity. She also handles business and financial reporting, plans and coordinates client events and oversees special projects and operations activities. Above all, she has a real awareness of what client care means! Kellie’s background is rich in support that includes more than 25 years experience in administrative support, sales support, business administration, executive assistant in mortgage industry, bookkeeping, sales and also as an entrepreneur in her own businesses. In her spare time, Kellie enjoys playing tennis, reading, traveling and spending time with her family which includes her husband Rich and their three adult sons. Kellie loves Gold Canyon with it’s natural serene beauty and friendly people! Barb contributes to the Robin Rotella Team’s philosophy of providing our clients a WOW experience! She knows the importance of listening to fully understand their needs and staying ahead of their questions so they know they are in good hands. She handles everything from contract to close of escrow and loves helping our clients stay informed by providing current status reports and preparing them for the next steps in the process. Communicating with all parties to ensure an efficient, timely, smooth close of escrow is her specialty! 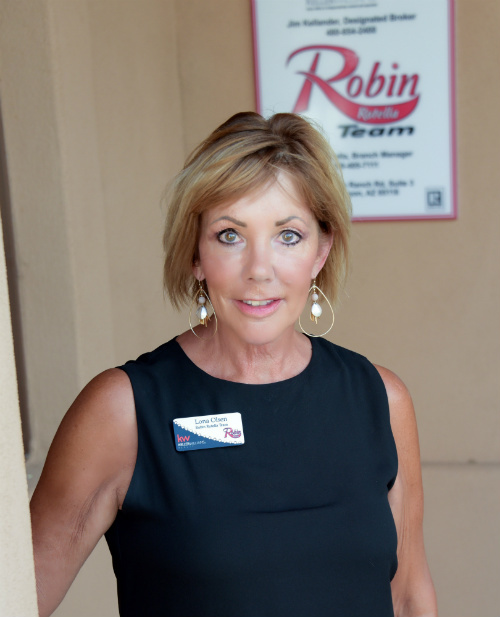 Barbara came to The Robin Rotella Team with over 35 years of customer service experience including retail banking, mortgage closing and retail sales experience. Her background and knowledge helps her to help our clients with all aspects of their sale or purchase. Barbara enjoys helping satisfy customers needs and solving issues. Barb moved to beautiful Gold Canyon from the midwest state of Illinois and loves the beauty and serenity of the Arizona desert. She also enjoys travelling, swimming, painting, sailing and long walks with her two little dachshund boys! Lona was a Montana resident who has called Gold Canyon her home since 2013. She has a passion for home decor and staging! Since Robin and her team provide complimentary staging for their seller clients, Lona was recruited to the team to help their clients. 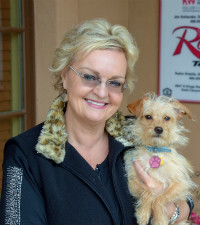 She comes to The Robin Rotella Team with lots of industry experience including residential real estate sales, her own interior design business and also real estate investing and flipping with her husband, Wayne. Lona enjoys providing home staging to our clients vacant or occupied homes using their furnishings or ours or a combination of the two! She is not only satisfying her need for creativity and design, but also helping our clientele have a more satisfying experience! No other agent or team is selling more homes locally than The Robin Rotella Team! Call to find out how we can help! You'll be glad you did!